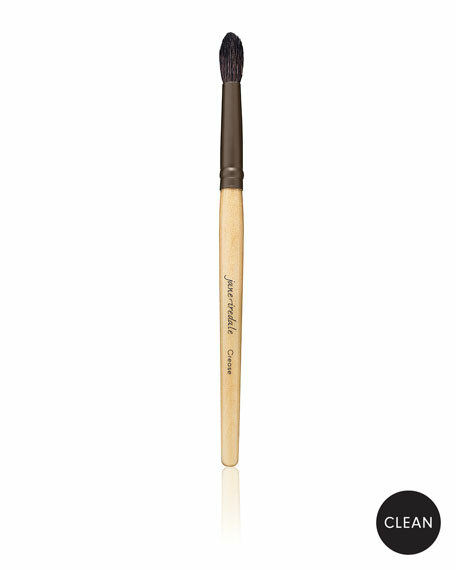 A soft, long, tapered eye shadow brush made of goat hair that is designed to fit into the crease of the eye and to result in a perfectly blended shadow. Use for medium to deep colors in the crease of the eye. For in-store inquiries, use sku #2313442.